Drivers Age: Minimum 23 years old for all small cars groups and 25 years old for all the other groups. Driver's license: International or national held at least one year. Rental time: Minimum one day (24 hours). Every hour in excess is calculated at 1/5 renting of the daily fare. Kilometers: Kilometre reading begins and ruminates at our renting station. Traffic fines: All traffic fines and expenses incurred during the rental period, are at the renter's responsibility. Petrol: Paid by the customer. Only Unleaded is to be used. Taxes: The local tax (Vat 16%) is additional on all rates. Availability: Car models are according to original planning. Delivery problems, however, may compel us to supply another vehicle in exceptional cases. 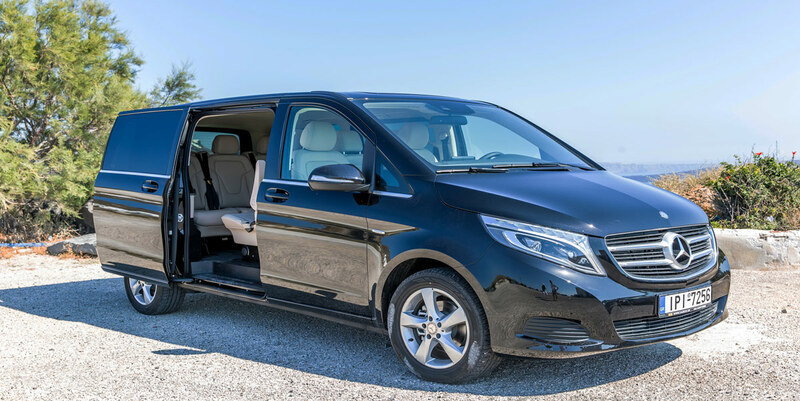 Ferrying of the car: Advance written authorization from our offices is required by any rentee wishing to ferry the car to and from the santorini island.